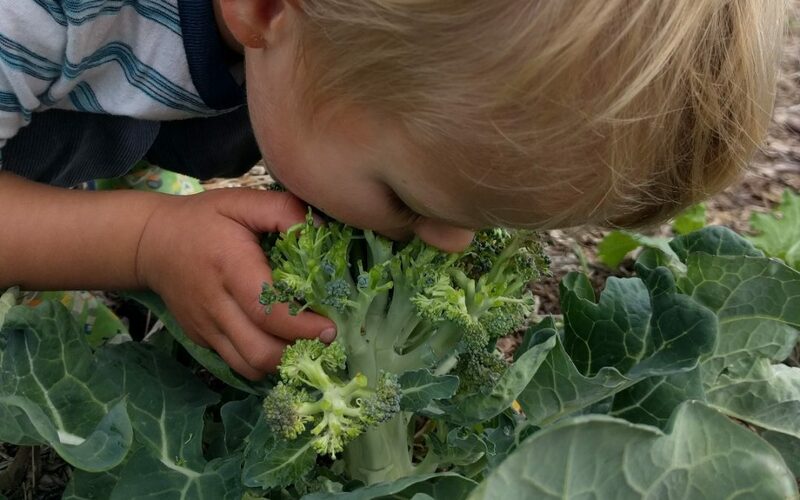 Broccoli and cauliflower are a couple of my favorite vegetables to grow if only to watch my uncivilized children eat them. Aren’t kids not even supposed to like broccoli? Mine eat the heads straight off the growing plant. 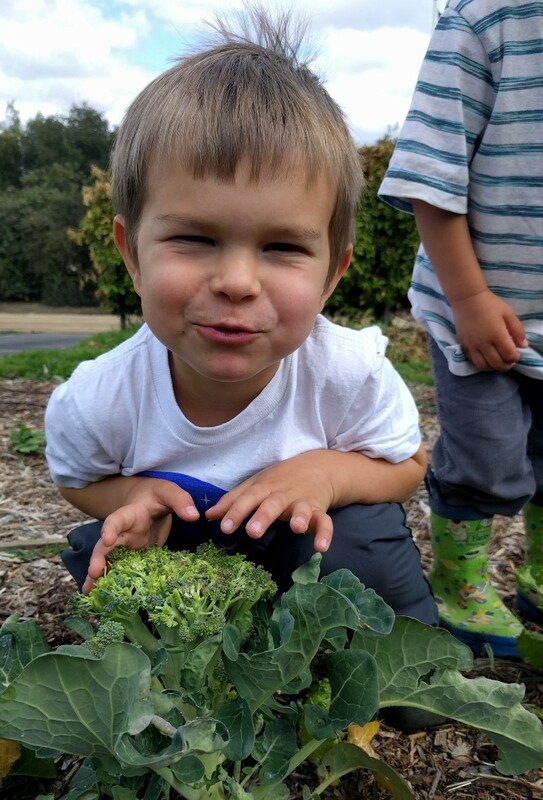 Growing broccoli and cauliflower for the kids is usually easy, as long as I plant at the right time. That time is now, late September through early October. You can sow seeds successfully as early as August, maybe even late July, but planting seedlings is best done now. You can also sow and plant later, all the way to January, maybe February if you live within a mile of the beach. But later sowings and plantings never do as well as this current sweet window of time. The plants never get as big, and the heads never get as big or flavorful. Why is late September through early October an optimal time in Southern California? The air is warm but not hot, and the days are still long enough to feed the plants plentiful sunshine. The plants grow rapidly, getting up to a massive three feet in diameter by November when they start forming heads. 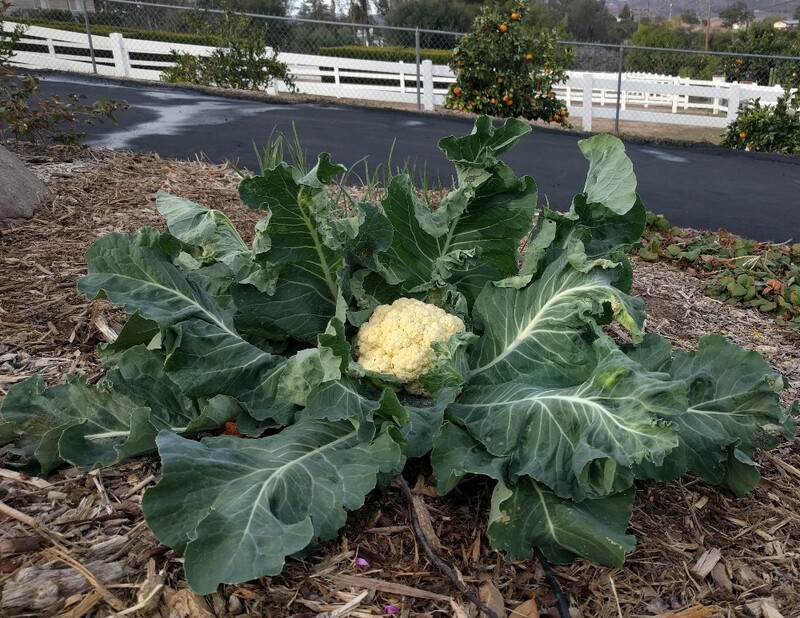 Those large leaves fuel the growth of large broccoli and cauliflower heads. Broccoli and cauliflower plants grow very well while young when it’s warm, like the 80-degree temperatures of September, but they do not tolerate such warmth when they’re old and it’s time to form a head. This is why you can start them at the end of summer, but you can’t start them in the spring. The timing is about what the temperature will be like when the plants mature. 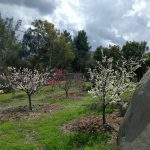 If the plants are started in spring, then they mature when the weather has warmed up too much: the head will be very small and burst into flowers rapidly. 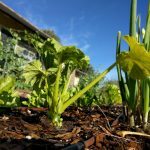 Should you grow broccoli and cauliflower from seed or buy seedlings? I’ll tell you what I usually do and why. I sometimes start broccoli and cauliflower from seed in July or August, but it can be hard to stay on top of watering such baby plants in the summer so I often opt for buying that early set of plants as seedlings from a nursery in late September. In late September, it’s much easier to start the second set of plants from seeds because the weather is milder. So I usually start some seeds and buy some seedlings at the same time, in late September. The seedlings will give me heads first, starting around Thanksgiving. The seeds will give me heads second, starting around late January. 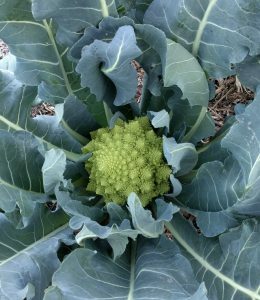 I’ll have broccoli and cauliflower to harvest on and off from Thanksgiving through winter and maybe into early spring, depending on the weather. I’ve never had a bad experience with a particular variety, but some I’ve grown successfully many times. The following varieties of broccoli have all grown well for me many times: Belstar, Premium Crop, Packman, and Green Comet. And the following cauliflower varieties have grown well for me many times: Amazing Taste, Early Snowball, Cheddar. Have you tried Romanesco? 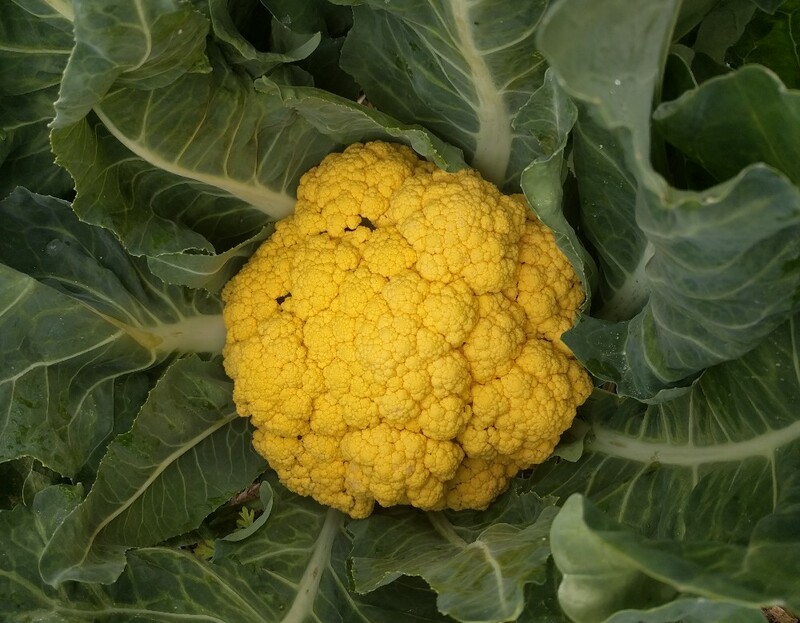 It grows exactly like broccoli and cauliflower, but it has a spectacular fractal form to its head. The taste is wonderful too. We usually roast it with a little olive oil, salt, and pepper. I used to crowd my broccoli and cauliflower plants at just a foot and a half apart. They do okay at that spacing, but nowadays I spread them farther, at least the distance of my elbow to finger tips — that’s closer to two feet. These plants get big, and they seem to appreciate the room to grow as grand as they can. 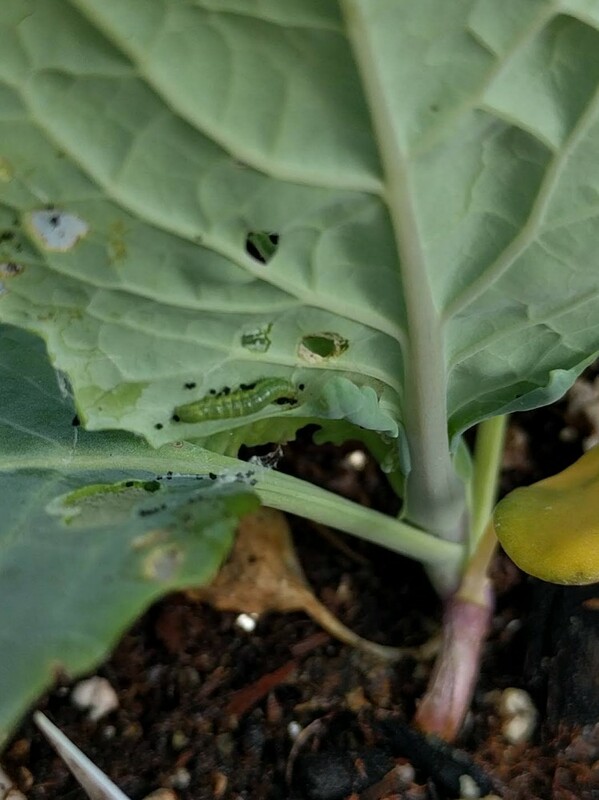 There are two major pests that might ruin your broccoli and cauliflower plants early on: rabbits and caterpillars. Early fall is a time when the rains haven’t arrived and there are few green leaves for rabbits to eat, except your luscious little broccoli and cauliflower leaves. Rabbits are elated you’ve provided such food. They eat entire plants overnight. I sometimes make little cages with poultry netting to protect my seedlings. The cages are one foot in diameter. 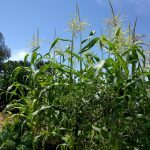 After the plants outgrow the cages, they can sustain some rabbit damage and the rains likely have arrived to provide the rabbits alternative foods. There are also a few kinds of caterpillars (also called worms or loopers) that may appear on your plants’ leaves. Sometimes they eat holes in the leaves at a rate that is faster than young plants can tolerate. Later, they may munch on and poop in your broccoli and cauliflower heads. 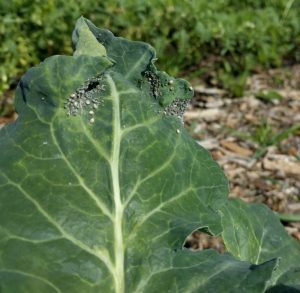 Just keep your eye out for holes in leaves and pick the pests off. This caterpillar is on a small plant in a six-pack from the nursery. Another challenge can be aphids. They are usually only a problem when the weather is warm. For example, last winter (2017-2018) was a warm one and aphids were more numerous than usual. I use one main method to keep aphids in check — blast the leaves with a jet of water from the hose every couple days if I notice aphid colonies forming. 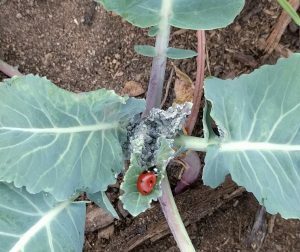 Aphids on a young plant can stunt it’s growth even as ladybugs eat as many as they can. Some aphids on an old leaf are no big deal, and you’ll often find some of them parasitized. 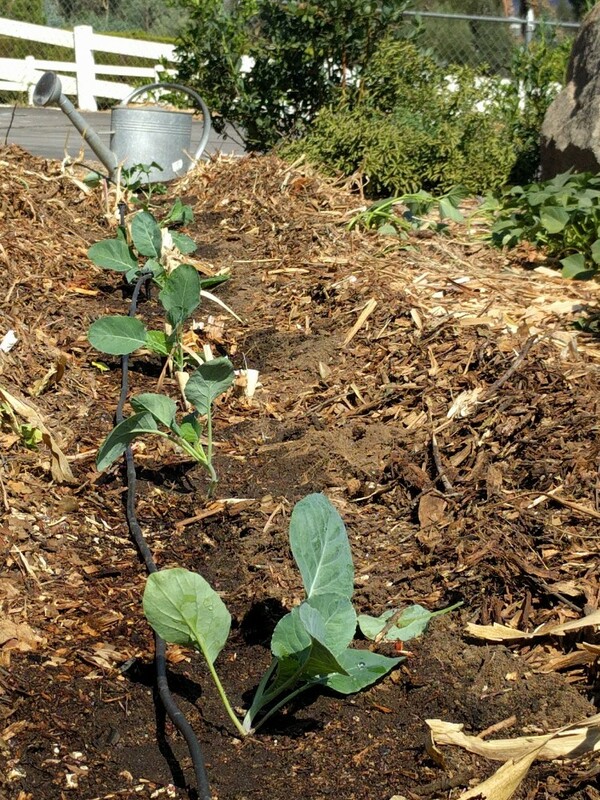 In the first couple months, make sure the young broccoli and cauliflower plants are getting consistent water so that they don’t stress and slow their growth. If growth is slowed, the head in the end will be smaller. The best broccoli and cauliflower heads I ever get are in years with ample winter rains. I like to keep a mulch beneath the plants to soak up and meter out the rains. 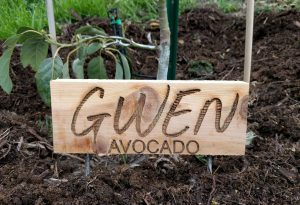 Sometimes its compost, sometimes its wood chips. The life stages of broccoli and cauliflower are 90% the same. They grow large succulent leaves (which can be cooked and eaten like other greens, by the way) for a couple months until they are ready to bloom, at which point they form a head of tight flower buds right in the middle of the plant. The trick is harvesting this head when it is as big as possible, but before the compact flower buds begin to space out. 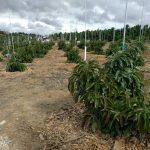 To harvest right, you really need to be checking your plants every day around this time. ‘Cheddar’ cauliflower: Harvest now! The florets are starting to space out. Here is where broccoli and cauliflower diverge. With cauliflower, you get one head to harvest and the game is over, the plant will provide nothing else. With broccoli, however, you harvest the central head and then the plant begins to form small satellite heads. 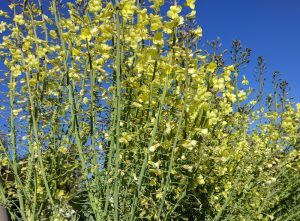 These peripheral broccoli florets taste exactly like the big central head, and the plant will continue making new ones as long as you continue harvesting them — until the weather warms up in spring and the florets burst into yellow flowers faster than you can harvest. Then it’s the bees’ turn to eat. Does it seem like a ripoff that you grow a cauliflower plant for a few months, dedicating a big patch of your garden to it, but only get one head to harvest? That’s partly why buying a head of cauliflower at the grocery store costs a lot more than carrots. Because broccoli provides florets for months after the harvest of the central head, it is more economical. 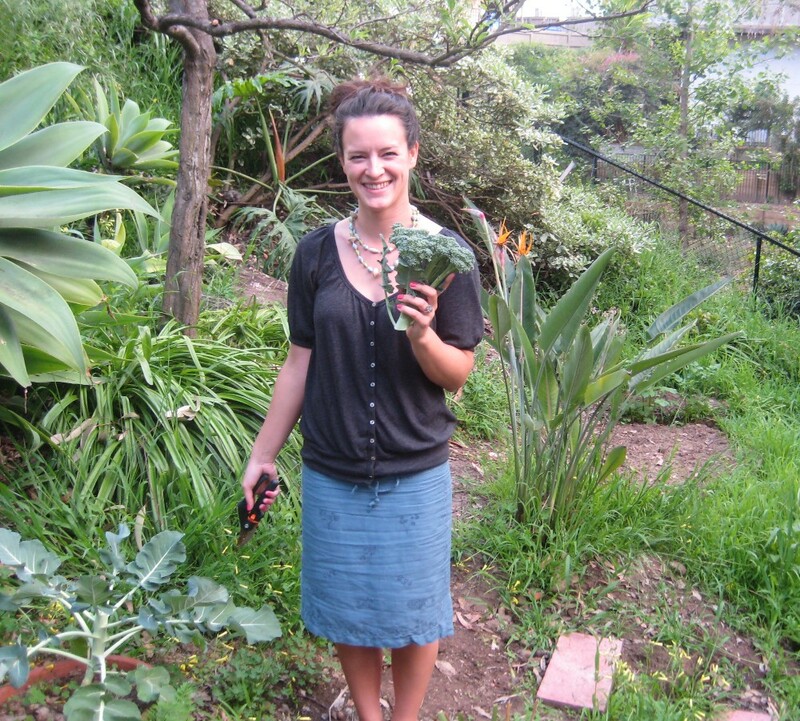 But no head of broccoli or cauliflower from the grocery store stands up in taste and texture to one from the garden. Even if garden broccoli and cauliflower were ten times the expense, they’d be worth the leap in eating pleasure. Please, spoil yourself this winter. Or spoil your children, or spoil your spouse. 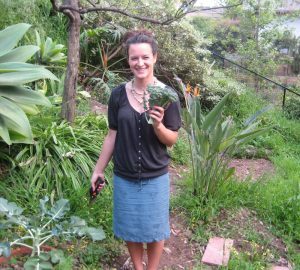 The main reason I started growing broccoli was to provide my wife with her favorite vegetable. Here she is about ten years ago with a little harvest. Hey, that must be where our kids get it. Yet, another great post by you. Just wondering, are you writing things on Saturdays now? Thank you. I’m only writing posts on Saturday when I bite off more than I can chew in life and can’t get a quality post done by Friday. Sorry about that. Friday is still the day. Hey Greg: Hope you and your family had a great holiday season! I am growing cauliflower for the first time, from seed, variety cheddar. I just harvested my first one and it seems tough and dry. What do you think happened? Thanks! Good to hear from you, and thanks for the well wishes. I too am growing Cheddar cauliflower right now and am in the middle of harvest . . . so I went out and sampled a few. Here’s what I tasted: the smaller, tighter, younger heads were moister and sweeter whereas the larger, more open heads were harder, drier, and not nearly as sweet. My advice would be to harvest earlier. Harvest when the head is still small and still appears completely dense; if you can see any space between the florets, it’s too late (to taste prime). You might wonder why I have some overmature heads out there in my garden, and it’s because I rarely get to harvest the heads at all these days. My kids start eating them right off the plant. And now I understand why they’re always going for the small and newly formed heads: because they taste the best.